Super cute new Grazed Youth fashions from the Make, Believe collection are in store now at indie art & design! 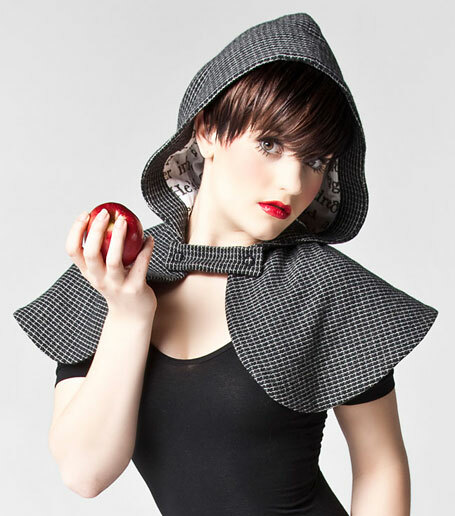 Designer Amelia Thompson has such a flare for quirky, clever designs and each piece is made beautifully. Amelia describes her collection very appropriately, "Like a small child sticking bubblegum in their sister's hair; Grazed Youth garments are compelling in that they play between a sense of fun and a darkness lurking below the surface." I absolutely love Grazed Youth's capes and capelets! 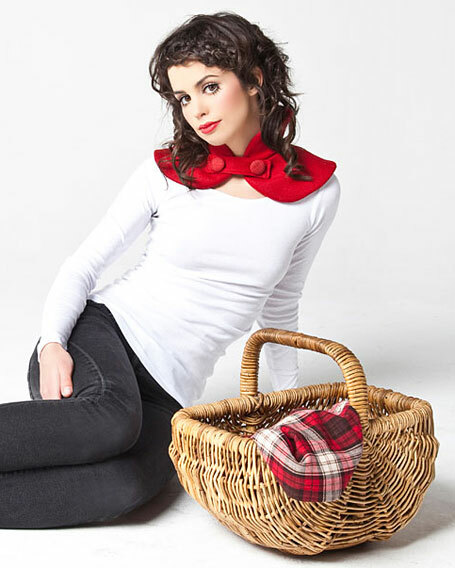 Not only will they keep your neck lovely & warm during wintery weather, but you can imagine yourself as a storybook character - perhaps Little Red, or even a devilish reinterpretation of Snow White... Pop the hood over your head for extra cheekiness! 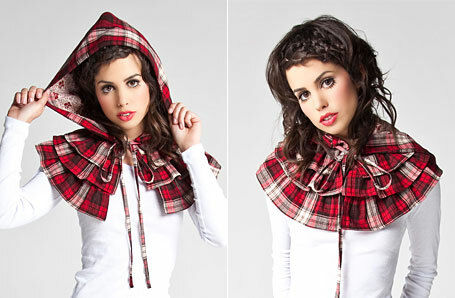 Fans of tartan will adore the Ruffle Cape pictured above, and the Crochet Cape in black (below) offers a lighter, delicate version which you could wear with almost anything. 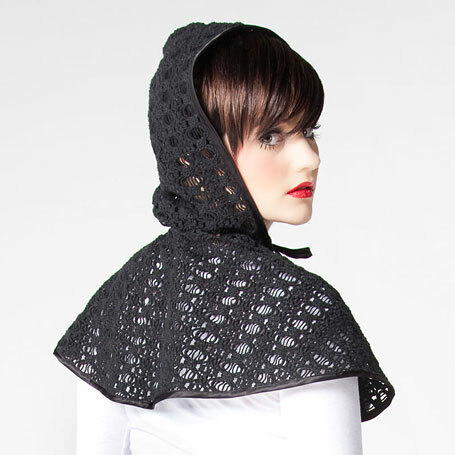 We also have in store Grazed Youth's lavish Edwardian Collar Ruffles with their contrasting black trim & white lace, accentuated by a cameo brooch at the front & small strings of imitation pearls! For more info, visit www.grazedyouth.com - definitely a label to watch!